When Magistrate Magaola Foso granted two Coligny men bail of R5000 earlier this year after they were accused of murdering a teenager, protests raged outside the court. Violence ensued, houses were burnt and journalists attacked. Many believe the laws are too lax and should be revised. Foso granted the accused bail because “the two men met the requirements” and he did not believe they would abscond from trial and they had no previous convictions. The men’s guilt or innocence would be determined at their trial, not by a bail process. The community, however, perceived the bail decision as a preliminary verdict on their guilt. This is in line with complaints made by community members and the SAPS to President Jacob Zuma that arrested suspects are being released too easily. In March, Zuma visited the crime-stricken communities in Nyanga in the Western Cape and Soshanguve, close to Pretoria. “The police were saying the manner laws are operating favours the perpetrators,” Zuma told the National House of Traditional Leaders several days after the visits. The president then instructed the security cluster as well as his ministers to tighten the bail laws, “so that it favours victims”. Spokesperson for the Department of Justice, advocate Mthunzi Mhaga, confirmed that the cabinet “approved the development of a strategy to review the entire criminal justice system”. Mhaga adds that the review will also look at “the effective implementation of the bail system including the review of the Criminal Procedure Act to bring it in line with the imperatives in the national development plan”. However, organisations such as Legal Aid South Africa (LASA), the Department of Correctional Services (DCS) and other affiliates who make up the justice cluster have been thus far working towards making South Africa’s bail system less punitive for the poor. Mhaga, who is also a former prosecutor, wrote an article on bail that was published on the Department of Justice’s website as well as various news sites. He noted “bail is not a pre-emptory punishment fine, nor is it tantamount to an acquittal as many believe”. This seems to be in conflict with his previous comments on the cabinet’s intention to tighten bail laws. 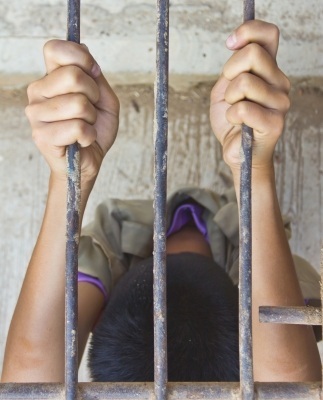 LASA’s Gauteng regional operations executive, Wilna Lambley, says stricter bail laws could be a threat to the hard work done by the justice cluster, and in turn poorer people who cannot afford bail as it is. In a briefing by the justice cluster to the portfolio committee on justice and correctional services on the impact of bail on the inmate population this year, the justice cluster pointed out that community members did complain that suspected criminals were released too easily on bail and this could affect confidence in the criminal justice system. However, it concluded that denying suspects bail and locking up more people was not the solution. There are alternatives to remand detention - non-financial bail should be explored because of the overcrowding in detention facilities. Mhaga, in his article, adds that “presiding officers do not easily arrive at a decision to grant bail. There are a number of factors considered and the court must satisfy itself of all of them before granting bail”. Section 60 of the Criminal Procedure Act clearly sets out conditions for determining bail - including whether the accused is a breadwinner, public safety, the risk of absconding, the possibility of influencing or intimidating witnesses or jeopardising the proper functioning of the criminal justice system. Spokesperson for the North-West Provincial Government, Brian Setswambung, told the Wits Justice Project that the National Prosecuting Authority (NPA) had indicated that they were reviewing documents of the Coligny case with the intention of possibly appealing Foso’s bail decision. This follows concerns, says Setswambung, about community safety and stability. Bail can be refused if the release of the accused will disturb public peace or security; something Foso could arguably not have foreseen when he granted bail, but which became abundantly clear following that decision. Lambley, the Department of Correctional Services and Mhaga recognise that community education is required regarding the criminal justice system and the purpose of bail. Mhaga, in his article, notes, “The outrage of many people, especially victims of crime, is caused by the fact that all of this often goes unexplained to them by either investigator or the prosecutor, leaving them with the feeling that the interests of the victim are not being safeguarded. Lambley agrees that community education is important, “the community needs to be educated on exactly what innocent until proven guilty entails”. While the police, communities and the president might believe too many suspects are awarded bail, Lambley is concerned that thousands of people end up in jail because they can’t afford the set bail amount. DCS affirmed that in its 2013/14 Annual Report, “On average 15% of remand detainees (approximately 8700 inmates) were in custody despite having been granted bail”. In the briefing by the justice cluster, it was noted that in January last year, 2288 out of 43447 (about 5%) remand detainees could not afford bail between R500 and R1000. According to Legal Aid figures, there are about 8000 people in prison who can’t afford bail, says Lambley. Both figures, however, point to a decrease of indigent people who are jailed because they can’t afford bail, as it sat at 10000 in 2011, according to Legal Aid. This might be due to joint efforts by the Department of Correctional Services and the NPA to establish a task team to tackle the issue of remand detainees who are unable to afford bail and to provide recommendations to address this. There seems to be a contradiction between how the president is dealing with bail laws compared to other government departments and legal organisations. In both cases, however, community education is key so that bail as well as the criminal justice system is not misunderstood and suspects are not unfairly treated both by the justice system and community members. In the briefing by the justice cluster, the total inmate population of South Africa as of January this year was at 161629 inmates. This comprised both sentenced and unsentenced inmates, of which unsentenced inmates made up 45600 (nearly 28%), with approved accommodation for only 119134 for all inmates. This means that almost a third of South Africa’s correctional facilities population are in overcrowded remand detention facilities. Overcrowding raises serious human rights concerns regarding diseases like tuberculosis and HIV/Aids and results in petty offenders being detained with hardened criminals. The thousands of people in remand detention who have been awarded bail, but can’t afford the amount, aggravate these conditions. If the pending review of bail laws does indeed lead to stricter application of the rules, this might lead to an increased burden on an already overstretched prison system.